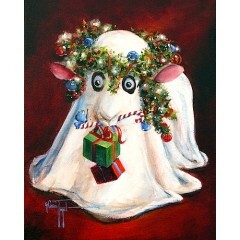 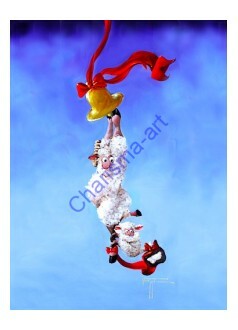 The Sheep Incognito love a good party - and holidays are their favorite way to add smiles to your life! 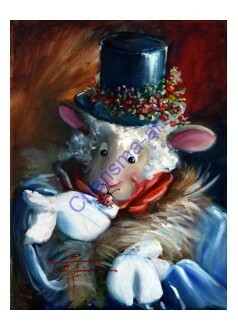 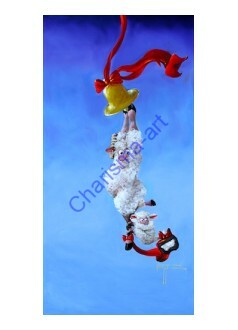 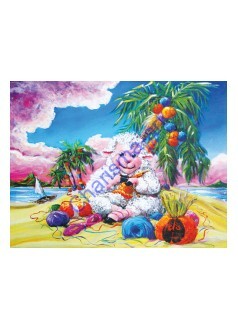 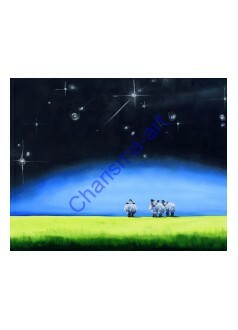 Choose from the flock of christmas, easter, halloween, birthdays, and other celebration day themed sheep art by Conni Togel. 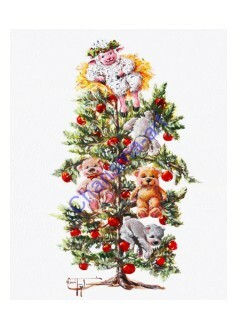 Away In A Manger - And you thought the sheep were just standing there watching the goings on in..
Baaah Humbug Cute Christmas Sheep Art by Conni Togel -Dickens Sheep for Christmas. 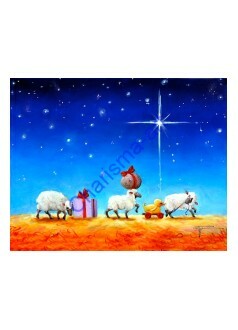 And they we..
CARAVAN TO BAAAHTHLEHEM PRINT Christmas Sheep Art by Conni Tögel - Nobody has ever mentio..
Do You See What I See? 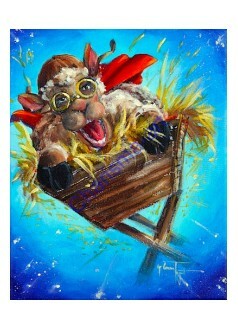 - After the shepherds left for Bethlehem, the sheep most likely were just sta..